The first earring "set" - you get both of these earring sets pictured! 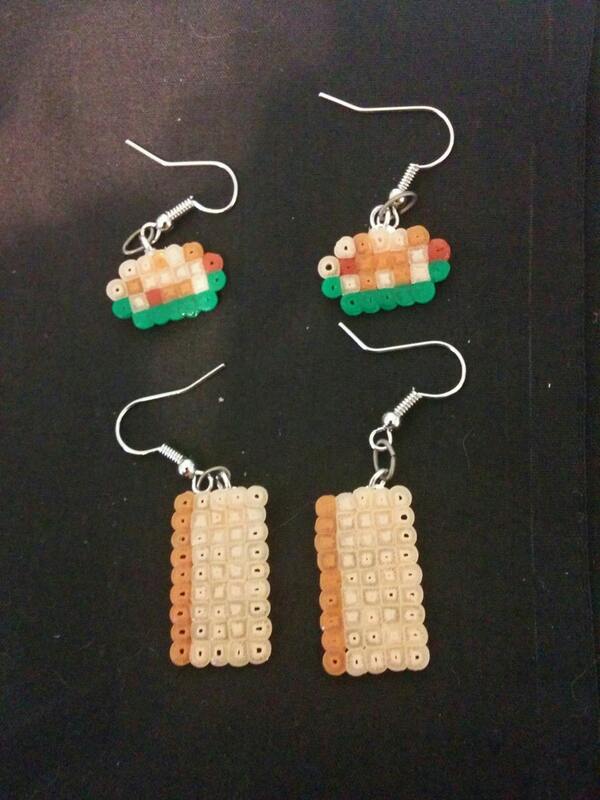 Taken from obscure Rifftrax references - breaded zucchini and wood block earrings. The wood blocks measure 7/8'' tall and .5'' wide, perfect for cubicles you beautiful insane b***ch!